New Jersey Senator Robert Menendez is on trial for corruption. Brian Thompson reports. 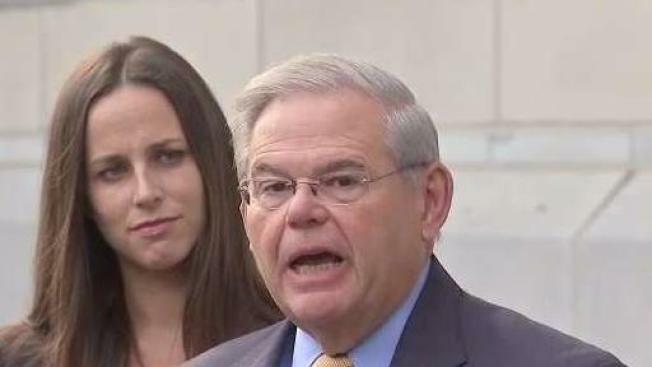 The alleged former Dominican girlfriend of a wealthy donor on trial for bribery with U.S. Sen. Bob Menendez testified Tuesday that her visa application was initially denied and then approved expeditiously after the donor told her he would "fix it" by reaching out to "the senator." Rosiell Polanco-Suera testified Florida eye doctor Salomon Melgen said he was "going to fix it" by talking to Menendez. She said that at the first visa interview in 2008, she and her sister, who also sought a visa, waited for hours and were treated abruptly. At the second interview, she said, they had little or no wait and the visa was approved that day. A former Menendez staffer testified Monday that the senator told him to "call the ambassador" after the sisters' first application was denied. Prosecutors are seeking to show it was Menendez's improper influence that pushed the visa through. Menendez is charged with accepting bribes from Melgen in exchange for helping his friend with business disputes and with the visas, which an indictment claims were for Melgen's girlfriends. Both men faced multiple fraud and bribery charges. 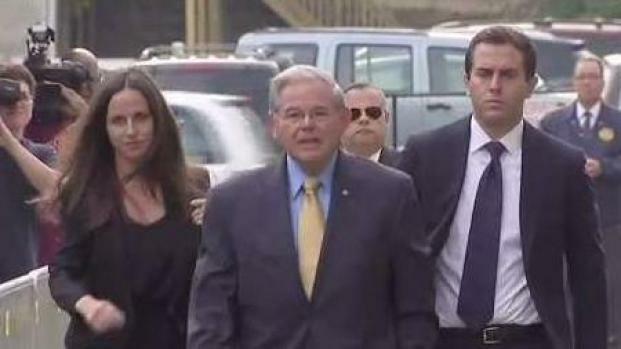 New Jersey Senator Robert Menendez is on trial for corruption. Jonathan Dienst reports. Defense attorneys have said it was customary for Menendez to help with visa applications, and not improper. On cross-examination of Polanco-Suera, an attorney for Melgen sought to show that the visa was granted primarily because the second interviewer took the time to fairly consider the sisters' application, which included a letter of support from Menendez. The indictment alleges that, in addition to the visas, Menendez lobbied government officials on behalf of Melgen in a Medicare billing dispute and a contract dispute involving a company Melgen owned that sought to provide port security equipment in the Dominican Republic. Menendez and Melgen have contended in court filings, and their attorneys alleged in their opening statements last week, that the gifts were evidence of the pair's longtime friendship and mutual affection, not a corrupt agreement.